Colors are some of the most important elements in creating holistic, nurturing spaces. The colors in our spaces can affect us, both emotionally and physically, and not all colors produce the same effect, based on our individual personalities. In feng shui, each color or color family also represents certain emotions and areas on the bagua map. If you're working to adjust the energy in your home, office or school, take a look at color characteristics and give some thought to which ones are most appropriate for your personal needs. Greens, teals and shades of blue are related to the Wood element and the New Beginnings area of the feng shui bagua and associated with hope, new beginnings and growth. If you're looking for a calming space or one that supports healing, whether physically or emotionally, these colors are for you! Greens and blues invoke the energy of nature and can be very refreshing (think brighter colors) as well as promote rest (think lighter, softer hues). To incorporate these colors into your space, try painting a wall with a carefully selected shade, adding green plants or placing a Jade stone in the New Beginnings area of your space. Just as greens and blues are symbolic of healing and growth in feng shui, the color purple is associated with wealth, abundance and often elegance and royalty. It's a very auspicious color in feng shui and can be used to attract wealth or self-worth. As a combination of two very strong colors (passionate red and calming blue), purple has great potential to balance you and your space and bring harmony and peace to both. To bring some purple to your home or office and promote abundance, use an appropriate shade of purple or add amethyst crystals or purple flowers. Shades of yellow, orange and brown are representative of the qualities of nature. Deep, earthy, pale and neutral tones are generally calming and nurturing, but brighter colors, and especially shades of yellow, may be too stimulating for a relaxing atmosphere. If you're thinking of adding these colors to your space, remember to save brighter, more intense shades of orange and yellow for areas like the kitchen (to arouse appetite) or the center of your home (to activate the Health area in the feng shui bagua). There are, of course, many more colors on the color wheel, and we'll cover them all over the next few months, so stay tuned! 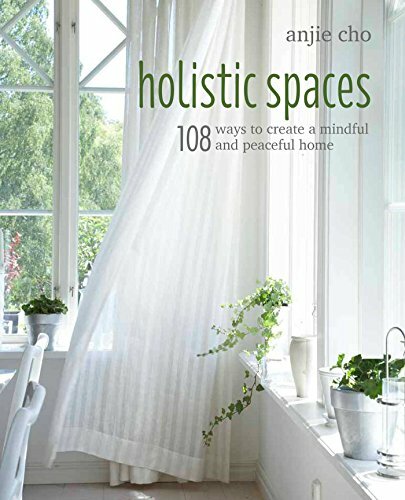 In the meantime, you can find details on the feng shui symbolism of each color in my book, "108 Ways to Create Holistic Spaces."